Ang Lee’s adaptation of Yann Martel’s Life of Pi opens the New York Film Festival later this week, meaning that Fox has just a few days left to ramp up its promotional campaign to capitalize on the exposure of a splashy film-fest premiere, setting the stage for the film’s eventual November 21 release date. If you’ve read Martel’s novel, you know the significance of the tiger, who is front and center on this new poster. The story follows a young man named Pi Patel (Suraj Sharma) and his journey across the ocean with some strange shipmates. It’s Lee’s first film since 2009’s under-appreciated Taking Woodstock, and appears to be a real return to form for the director. The narrative comes with some built-in challenges, and I’m anxious to see how Lee tackles them. It’s going to require a captivating performance by Sharma, unless Lee’s able to help him with some cinematic trickery. 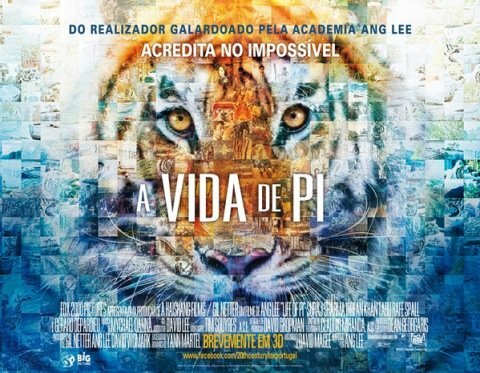 Life of Pi, at the moment, has to be considered an Oscar contender given its literary pedigree and Academy familiarity (Lee won Best Director for Brokeback Mountain, a movie that should have topped Crash in the Best Picture race). We’ll know soon after the film’s NYFF bow if it remains an Oscar contender. Stay tuned.